Francis James Baird Wheen (born 22 January 1957) is a British journalist, writer and broadcaster. Wheen was educated at Copthorne Prep School, Harrow School and Royal Holloway College, University of London. At Harrow he was a contemporary of Mark Thatcher who has been a recurring subject of his journalism. He is a member of the 'soap' side of the Wheen family, whose family business was the long-established "Wheen & Sons", soap-makers, as was revealed in the gossip column of the Daily Mail on 26 March 2007. 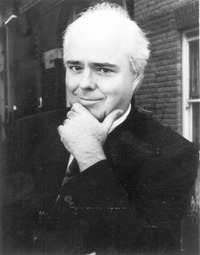 He was married to the writer Joan Smith between 1985 and 1993. He is the author of several books including a biography of Karl Marx, which won the Isaac Deutscher prize. A column for The Guardian ran for several years. He writes for Private Eye and is the magazine's deputy editor. His collected journalism â€“ Hoo-hahs and Passing Frenzies won him the George Orwell Prize in 2003. He has also been a regular columnist for the London Evening Standard. Wheen broadcasts regularly (mainly on BBC Radio 4) and is a regular panellist on The News Quiz, in which he often referred to the fact that he resembles the former Tory party leader Iain Duncan Smith. He is also one of the more frequently recruited guests for Have I Got News For You. Wheen wrote a docudrama, The Lavender List, for BBC Four on the final period of Harold Wilson's premiership, concentrating on his relationship with Marcia Williams, which was first screened in March 2006. It starred Kenneth Cranham as former Prime Minister Wilson and Gina McKee as Williams. In April 2007 the BBC paid Â£75,000 to Williams (Baroness Falkender) in an out-of-court settlement over claims made in the programme. Francis Wheen is a signatory to the Euston Manifesto and a close friend of Christopher Hitchens. 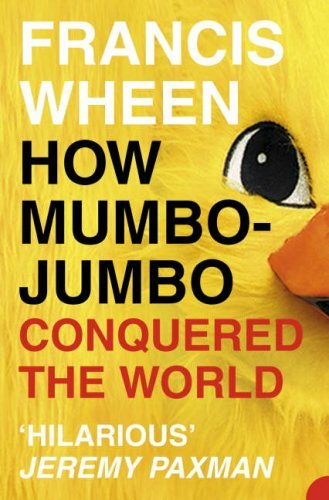 In late-2005 Wheen was co-author, with journalist David Aaronovitch and blogger Oliver Kamm, of a complaint to The Guardian after it published a correction and apology for an interview with Noam Chomsky by Emma Brockes. Chomsky complained that the article suggested he denied the Srebrenica massacre of 1995. The writer Diana Johnstone also complained about references to her in the interview. The Guardian's then readers' editor Ian Mayes found that this had misrepresented Chomsky's position, and his judgement was upheld in May 2006 by an external ombudsman, John Willis. In his report for the Guardian, Willis detailed his reasons for rejecting the argument. A major biography of the man who, more than any other, made the twentieth century. Written by an author of great repute. The history of the 20th century is Marx's legacy. Not since Jesus Christ has an obscure pauper inspired such global devotion - or been so calamitously misinterpreted. The end of the century is a good moment to strip away the mythology and try to rediscover Marx the man. 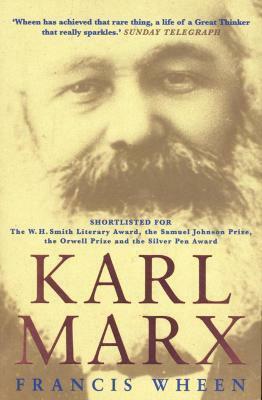 There have been many thousands of books on Marxism, but almost all are written by academics and zealots for whom it is a near blaspemy to treat him as a figure of flesh and blood. In the past few years there have been excellent and successful biographies of many eminent Victorians and yet the most influential of them has remained untouched. In this book Francis Wheen, for the first time, presens Marx the man in all his brilliance and frailty - as a poverty-stricken Prussian emigre who became a middle-class English gentleman; as an angry agitator who spent much of his adult life in scholarly silence in the British Museum Reading Room; as a gregarious and convivial host who fell out with almost all his friends; as a devoted family man who impregnated his housemaid; as a deeply earnest philosopher who loved drink, cigars and jokes.